ETFs are becoming an increasingly popular way to invest for most people, and here’s why. Exchange Traded Funds (ETFs), as the name suggests, are funds that you can trade in real time on a stock exchange. This means, that like regular stocks, the prices of these funds fluctuate daily. 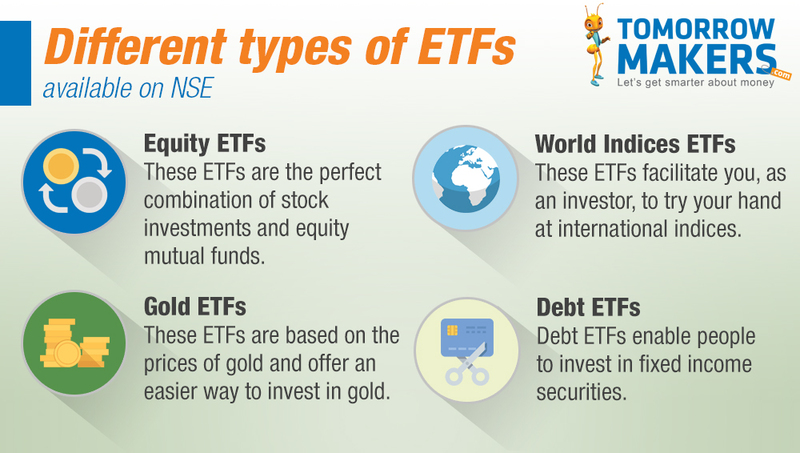 ETFs are comprised of stocks, commodities and bonds. They are passively managed and are designed to track indexes. Over the last few years, more investors are flocking to invest in ETFs because they are structured, transparent and tax efficient. One of the main reasons for this is because they have high liquidity. However, there are other reasons that have contributed to their increased popularity. Diversification of portfolio: Like mutual funds, ETFs enable investors to spread their capital over many different investments. In this way, the risk involved is lower as compared to investing a large chunk of your money in just one or two stocks. Minimal Capital: ETFs don’t just make having a diversified portfolio possible, they make it happen at a minimal cost. This is because, unlike other investment options, ETFs usually don’t include things like management fees, service fees etc. The primary goal of ETFs is to give the investors high returns at low costs. Tax Efficient: In comparison to mutual funds, ETFs are more tax efficient as they usually involve fewer taxable events. This is because the buying and selling stocks in index funds don’t happen often enough to trigger large capital gains. The average turnover rate for an ETF is less than 10%, while some actively traded mutual funds have turnover rates that are higher than 100%. Specific and focused ETFs: Investors can choose specific ETFs they want to invest in. For example, someone who is interested in technology, can invest in that market or niche specifically. This makes it more appealing to many investors. Intraday trading: ETFs are emerging as a preferred instrument of choice as they enable trading throughout the day. Real time trading is an option that ETFs allow you benefit from as it involves daily market movements. This is a major advantage over investments like mutual funds. Dividends are reinvested: If you have invested in an open-ended ETF, then the dividends you gain from the company will be reinvested automatically. The timing of reinvesting your dividends could vary for index mutual funds depending on the trends of the market. Note that a dividend drag may be created since dividends of unit investment trust ETFs are not automatically reinvested. While ETFs offer many advantages, they may not necessarily be perfect investment options for everyone. What might be the right investment instrument for one person, will may not be suitable for another. Additionally, like any other investment, these too come with certain risks. Spreading your assets can help spread the risk, but these risks aren’t entirely eliminated. However, if you have a taste for lower risk and want to invest with a limited amount of money, then ETFs are a great option for you.